Fearless meets fashion in the Kelsi Dagger Ryton ankle-wrap Snake skin print wedge sandal. 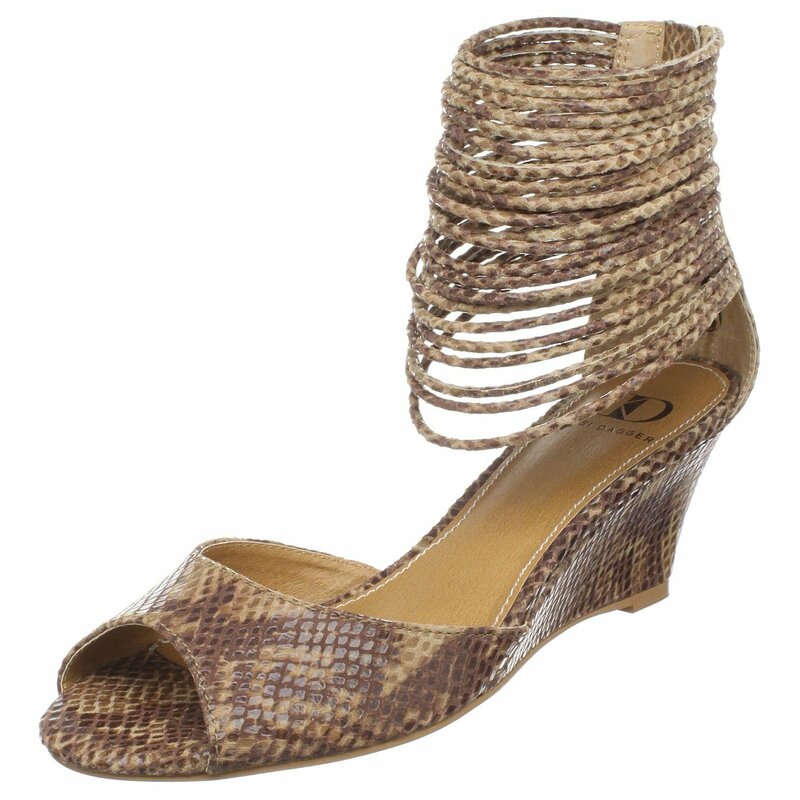 The snake-textured upper features a wide strap over the foot, while loads of skinny straps encircle your ankle. A zipper behind the heel and on-trend wedge sandal offer on-trend style that will look terrific when paired with sultry skirts or dresses. Launched for summer 2009, Kelsi Dagger is a new concept from the PLV studio design team that brought you Pour La Victoire. After redefining how designer shoes should cost, feel and look, the team now turns toward another market segment. With Kelsi Dagger the taste level alone will cause some serious commotion among the entrenched mass-geared brands. Kelsi Dagger’s vision is to be truly in tune with girls who have their own personal style and want products to stir them emotionally, while not hurting them financially. Of course Kelsi Dagger is not for everybody–only those fearless enough to follow their dreams and lead by example.